Police clashed with Catalan independence supporters in Barcelona on Saturday. This comes almost 1 year after the region's illegal independence referendum. 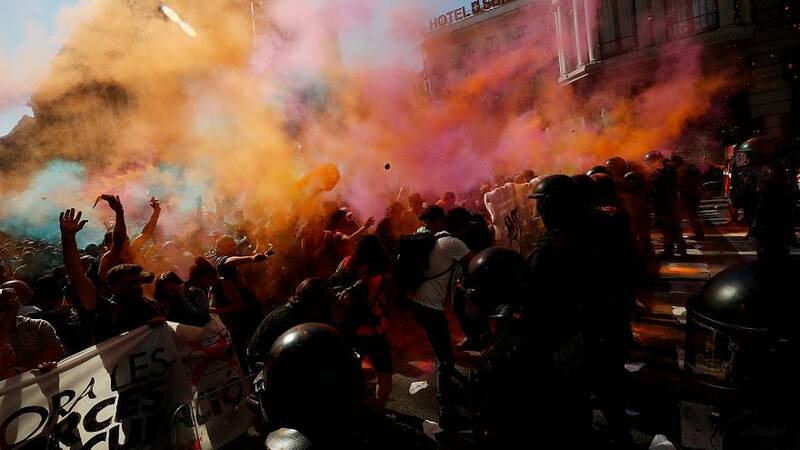 Police officers lined up to block the way to the Spanish police headquarters as protesters sprayed colored powder. Some officers pushed back protests with batons. The clashes erupted after local Catalan police intervened to keep separatists from approaching another march of people in support of Spanish police demanding a pay raise. Polls suggest that Catalonia's 7.5 million residents remain divided by the independence question.